Giving patients the rest they need. Are you Made for this? At Northwell Health, we know that rest is a key to healthy living. As a Polysomnograph Tech, you’ll have the opportunity to provide transformative care to help patients rest easier. ● Compile and document patient history, current condition and medication intake during interview/assessment. ● Identify signs, symptoms, special factors and co-morbid conditions affecting patients with potential sleep disorders. ● Communicate procedures to patient and answers questions in order to ease apprehension and produce comfort and cooperation. ● Prepare patient for a procedure by applying electrodes and sensors in accordance with policy and procedures. ● Perform appropriate physiologic calibrations and adjustments to equipment. Perform positive airway pressure (PAP) mask fitting and acclimatizations. ● Follow procedural protocols to ensure accurate polysomnographic data acquisition. Identify and report signal abnormalities. ● Document routine observations, including sleep stages, clinical events, procedural changes and other significant events in order to facilitate interpretation and scoring of polysomnography results. ● Generate reports of sleep/wake and clinical event data tabulations. ● Oversee and perform other procedures and therapeutic interventions including, but not limited to, continuous bi-level positive airway pressure and oxygen administration, ambulatory monitoring set-up and analysis and therapeutic acclimatizations. ● Score sleep/wake stages following established policies and procedures and score clinical events, including respiratory events, cardiac events, limb movements, arousals, etc., within center specific protocols. ● Generate accurate reports for study interpretation. ● Demonstrate knowledge and skills necessary to recognize and provide age specific care in the treatment, assessment and education of all age groups. ● Complete all required billing information forms. 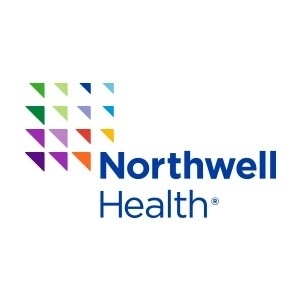 Northwell Health is New York State’s largest health care provider and private employer, with 23 hospitals, nearly 700 outpatient facilities and more than 13,600 affiliated physicians. We care for over two million people annually in the New York metro area and beyond, thanks to philanthropic support from our communities. Our 68,000 employees – 16,000-plus nurses and 4,000 employed doctors, including members of Northwell Health Physician Partners – are working to change health care for the better. We’re making breakthroughs in medicine at the Feinstein Institute for Medical Research. We're training the next generation of medical professionals at the visionary Donald and Barbara Zucker School of Medicine at Hofstra/Northwell and the Hofstra Northwell School of Graduate Nursing and Physician Assistant Studies. For information on our more than 100 medical specialties, visit Northwell.edu.